Executive compensation is one of the biggest investments most companies make, yet far too few approach it strategically. According to Chief Executive’s compensation survey, most companies don't follow best practices for motivating CEOs and other senior executives. [caption id="attachment_60663" align="alignleft" width="443"] Click to enlarge[/caption] Approval of CEO compensation packages varies by both company revenue and ownership type, according to Chief Executive’s CEO & Senior Compensation Report 2017. Here we look at who’s in the driver’s seat when it comes to the CEO’s paycheck at private companies with revenue ranging from less than $2 million to more than $1 billion. As the chart shows, at 54% of the smallest companies, the CEOs themselves determine their own compensation, with boards, partners and parent companies making the calls in other cases. For $1 billion-plus enterprises, however, boards are firmly in control, approving 90% of all pay packages. 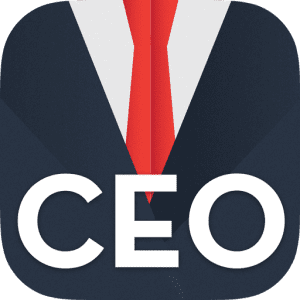 Get immediate access to our annual CEO & Senior Executive Compensation Report for Private Companies, with detailed information on salaries, bonuses, equity grants, benefits, perks, as well as how these elements vary by company size and more. Generally speaking, the survey found that the larger the company as measured by revenue, the greater the role the board plays in setting compensation. In the $2 million to $4.9 million range, the board makes the call at 46% of companies, while in the $50 million to $99.9 million range, the board weighs in 58% of the time. And for companies with $250 million to $499.9 million and $500 million to $999.9 million in revenue, the board determines CEO pay 67% and 79% of the time, respectively.